express, and feel here. Fill your canvas. We do our best to not only support the highly motivated and dedicated artists, but also to create opportunities for all students to find an artistic niche that suits them. At NYA it is cool to be an artist. 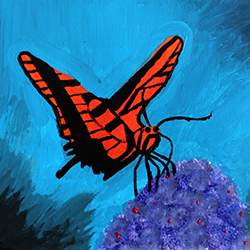 Artistic expression begins in the lower school and is part of every student’s life through middle school. The visual art component at NYA promotes visual literacy and provides opportunities for students to explore their world, while learning how to express themselves with a variety of media. Projects are planned to enhance appreciation for and to develop self-discovery. Students do interdisciplinary projects, learn lifelong lessons on perspective and expression, draw, paint, and do design work with a 3D printer, Using the elements of art and the principles of design, the emphasis is on process, not product. 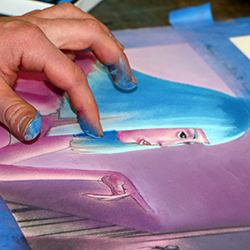 Visual arts in the upper school are purely elective. 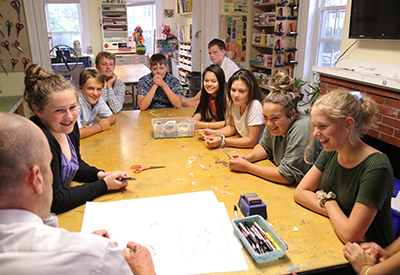 NYA’s AP Studio Art class is one of the few offered in the state of Maine. 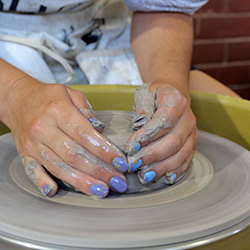 71% of the student body participates in studio art, drawing, painting, print making or sculpture. Many of those students have their works show in downtown Portland galleries, contributing to the city’s growing art scene. Some have been judged and awarded at the national level in competitions such as the Scholastic Art Awards.